-- Select a Size/Color -- Mini - Out of Stock! Small Large - Out of Stock! 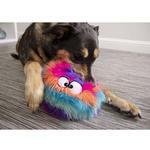 Give your pup a fuzzy good time with our long-lasting goDog® Furballz with Chew Guard Technology™ in Cool Rainbow! 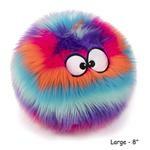 A ball toy and plush toy in one! 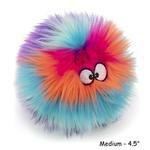 Our goDog® Furballz dog toys are fun for all dogs and feature a moppy texture that dogs love. 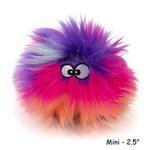 These bright plush toys feature three great sizes and shapes for carrying and playing! Easy to compress, bite on and carry. Available in large, small, and goDog Just for Me mini sizes for all breeds of dogs to enjoy. Super tough chew-resistant lining and reinforced seams to withstand rough play. 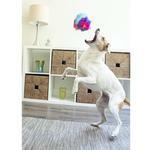 Our goDog® toys are high-quality plush toys for active pets. They feature double-seamed stitching and Chew Guard Technology™ which means the plush layer has a mesh underlayment for extra strength and durability. Even though no dog toy is indestructible, goDog toys are tougher and last longer than standard soft plush toys…and they GUARANTEE IT! 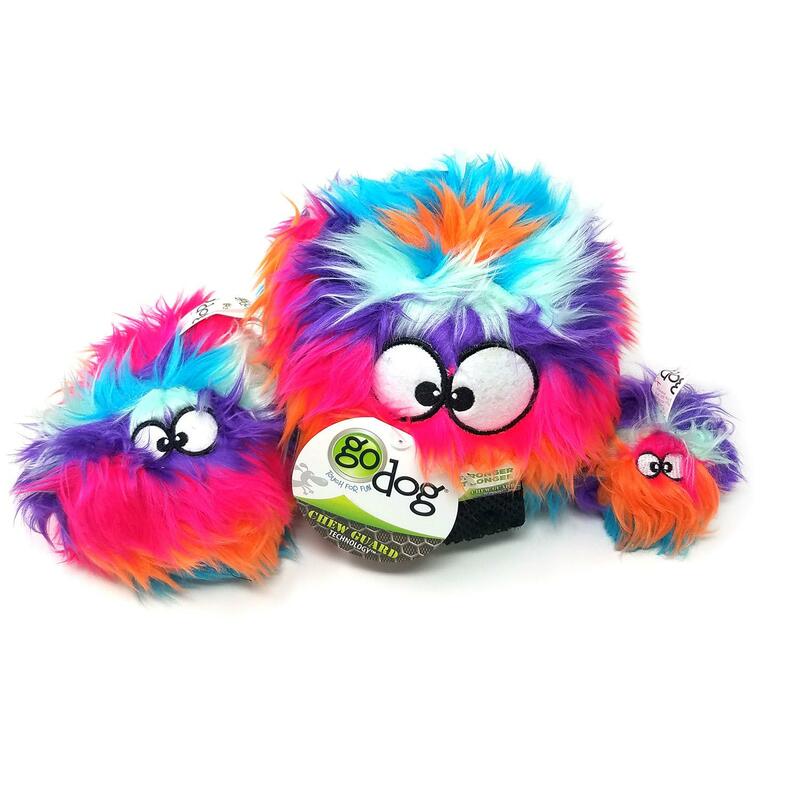 If this goDog toy does not outlast your standard plush, please visit www.godogfun.com/replacement and fill out the form to get your one-time replacement. Limit of one-time, one replacement per household. 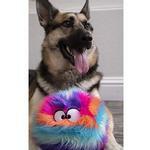 In addition to being able to withstand rough play, these plush Furballz dog toys are ideal for fetching, mouthing, and cuddling with. Machine-washable. Available in 3 sizes to suit most breeds. Mini: 2.5" x 2.5" x 2.5"
Large: 8" x 8" x 8"